McALLEN — Jaime Cavazos wants to make his CSI facility more than a world class facility for training, even though he specializes at it as evidenced by the more than 60 Div. I athletes he has trained. He wants it to be a one-stop shop for all types of athletes. 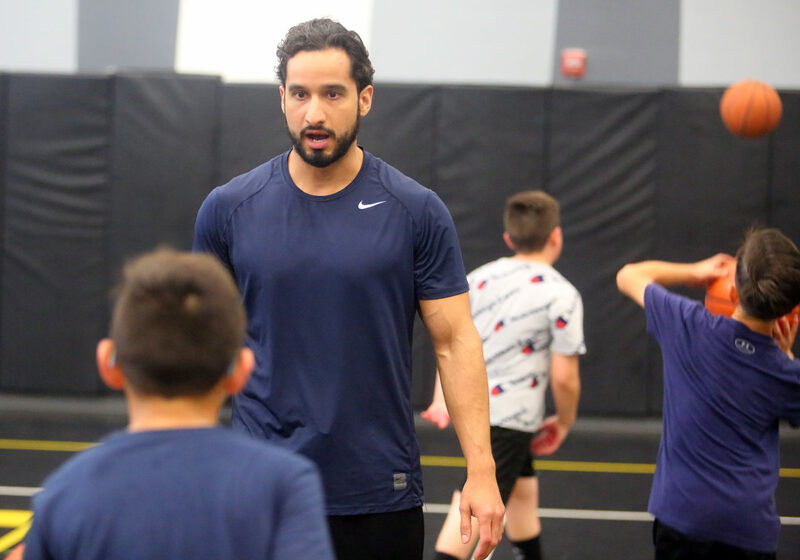 Nathan Gonzalez wants to provide area athletes more opportunities to earn college scholarships; to provide them knowledge as well as actual participation in the showcasing effort. The pairing has resulted in the first South Texas Basketball College Exposure Showcase, which will be held in two sessions Saturday, April 20 at CSI, located at 2900 Buddy Owens Blvd. in McAllen. Coaches from around Texas will be in attendance, ranging from Divs. I and II, NAIA and junior college coaches. Top junior and senior basketball players from the Rio Grande Valley as well as the Laredo and Corpus Christi areas are expected to be in attendance for either the Class A-5A session from 9 a.m. to noon or the Class 6A session from 12:30 to 3:30 p.m. Invitations are being sent out based on coaches’ recommendations and showcase registration applications for those who feel they can play at the next level. Applications can be found at csitrain.com. Basketball players will be asked to enter information such as GPA, test scores, coach’s name and number (for a recommendation) as well as basketball stats and any related awards. A basketball player who fits the requirements will then be given an invitation. Coaches will be able to offer scholarships on the spot if they see someone who fits an area of need for their team during what’s known as an approved college evaluation period. “A lot of times, kids here in the Valley will have a great year and once their season is over, it’s like ‘what’s next,’” said Gonzalez, a former Mission Vets standout who earned all-district, all-valley and all-state honors among other awards while there. “Some people down here have a decent path ready for these kids, but so many slip through the cracks and it’s difficult sometimes to look at that big picture. To them, they’re just playing at school. Cavazos said there is still time for the basketball player who feels his skills can get him onto the college court to sign up. While most participants will be seniors and juniors, there is space for the elite sophomore and freshman. “We feel that there are a lot of hidden gems in our area,” Cavazos said. “We want to get them exposed and ready for basketball after high school.